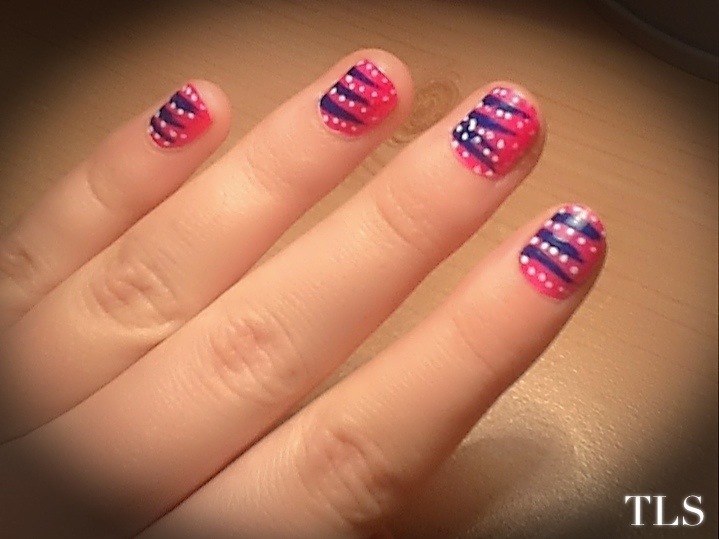 Funky Jazz Nails! | details in the fabric..
Can’t believe I just used the word funky.. Haven’t heard that in so long! Reminds me of 70s disco music.. Anyway, just a quick nail design I did.. I went to a jazz night on Friday, been part of it for the last few years, it’s always a great night. Not usually a fan of jazz music, but it’s usually a mixed bunch, bit of everything really. Previous “Behind every gifted woman, there’s often a rather talented cat.” Next The Assassination of Radio. That’s so cool! Never thought of it like that. Might try doing one inspired by one of your paintings, mini-style! Wow! If you do, I’d certainly love to see that!! That would be something I’d definitely re-blog!